As I've shared before, my life is not complete or balanced unless I have the opportunity on a regular basis to meet with and share 'the writing life' with fellow scribes. 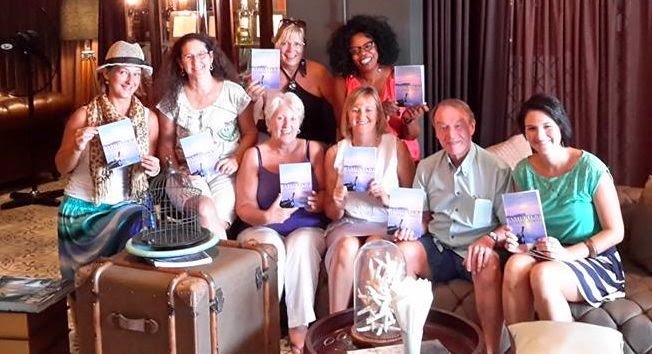 The writers' group that has formed... no, actually it's not just formed, it's come alive, for me in Phuket gives me something to look forward to every month. Many of the members have become true friends as well. You know, the kind that will stay with you for a lifetime! I know this is the case with this group, especially since we are bound together by a wonderful collaborative project that finally culminated last month (Happy New year to us!) 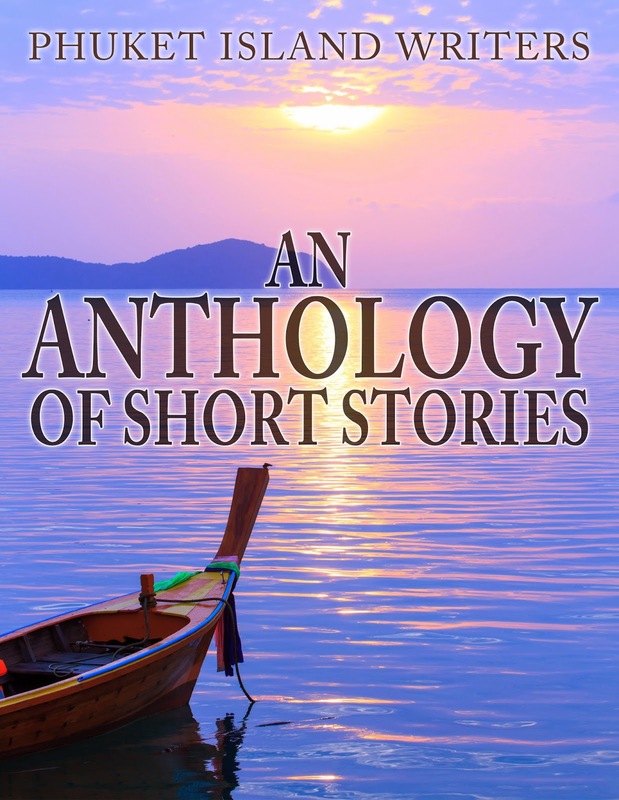 in the publication of Phuket Island Writers - An Anthology of Short Stories. What a proud moment this past Saturday when we all held hard copies in our hands! I'm so blessed to be a part of this group and proud of each and everyone's accomplishment. It started with a very hesitant sharing of a short story, which blossomed into an idea of everyone contributing one or two stories to an anthology. Everyone loved the idea so we hunkered down and wrote our stories. Then came the delegation of tasks that would be required to bring our book to completion. An editor stepped forward and another member volunteered to facilitate the cover design (we used Fiverr, which is a wonderful source of graphic designers and other freelancers). There was editing and massaging, moving timelines and holidays. There was layout and design to do for Kindle, CreateSpace and the local printer... and, those of you who have self-published before know that each platform and output requires a different layout. It's available on Amazon in both print and Kindle formats! We're all feeling euphoric (some are first time published authors) and we're all eager to begin work on volume II. I'd love to hear about your writers groups and how you collaborate and support each other :) Please feel free to share! I did find a great writing group when I was living in NC, but now that I'm back in ID, I'm coming to the realization that I'm going to have to start one myself since the ones I've found either aren't the right fit or don't have their act together. I know a lot of people put writing groups down, but that's because they haven't been in one that really works. When it works, it REALLY works! So true Jeri! Good luck with starting your group and thanks for dropping by!